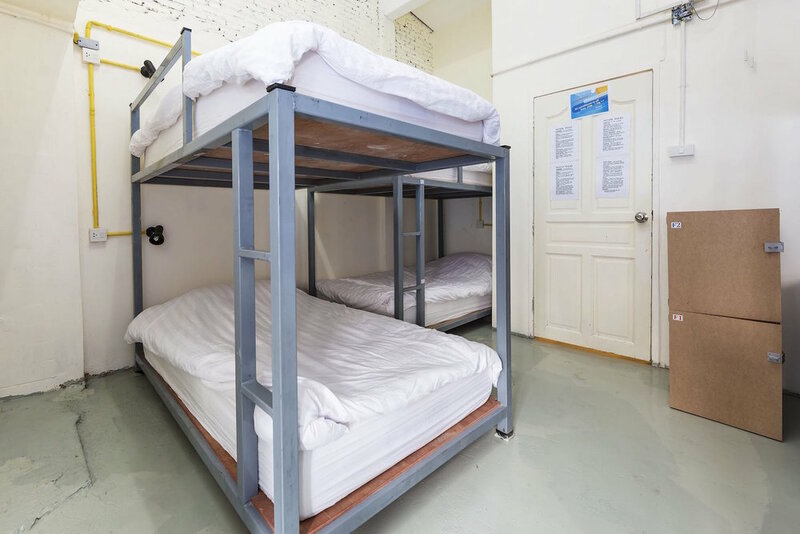 Located on the 4th floor, our 10 Bed dorm has 5 large and spacious bunk beds with the most comfortable pocket spring mattress with 100% cotton sheets to ensure a great nights sleep. All beds have a reading light, electrical outlet and in room locker access. Room has Air Conditioning and Wall Fans. ( Please note: A/C is turned off from 2PM to 7PM ). 25 SQM.